Understand how NEC safeguards people and property. Make your facility and operations NEC compliant. Become current with the most recent NEC updates. This update course is for people already familiar with the code and simply need to know the updates. Innovations like Solar, Data Communication, Electric Vehicle Charging are driving the electrical industry and the NEC is updated every 3 years to reflect this. This course covers the major changes and instructors will answer your questions about specific work scenarios and applications. While the new 2020 version of the code will be updated and officially rolling out later this year, not every state adopts the code at the same time so call us to determine which cycle version you need to comply with in your state. This training covers the topics most needed by electrical workers including the changes for grounding and bonding, properly sizing conductors and overcurrent protection for different applications, wiring methods, motor installation and other general equipment specifics, and special topics as requested by attendees. 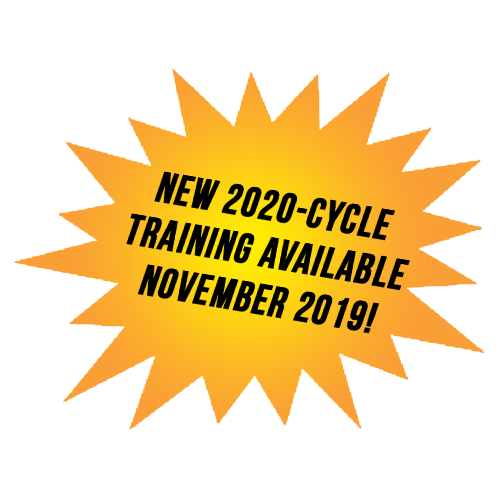 New Updates / 2020-Cycle Training Coming Soon: Innovations like Solar, Data Communication, Electric Vehicle Charging are driving the electrical industry, but not every state adopts the code at the same time so call us to determine which cycle version and which topics you need to understand so you can comply with in your state.